When looking for a home, buyers often narrow their choices by determining wants vs. needs. 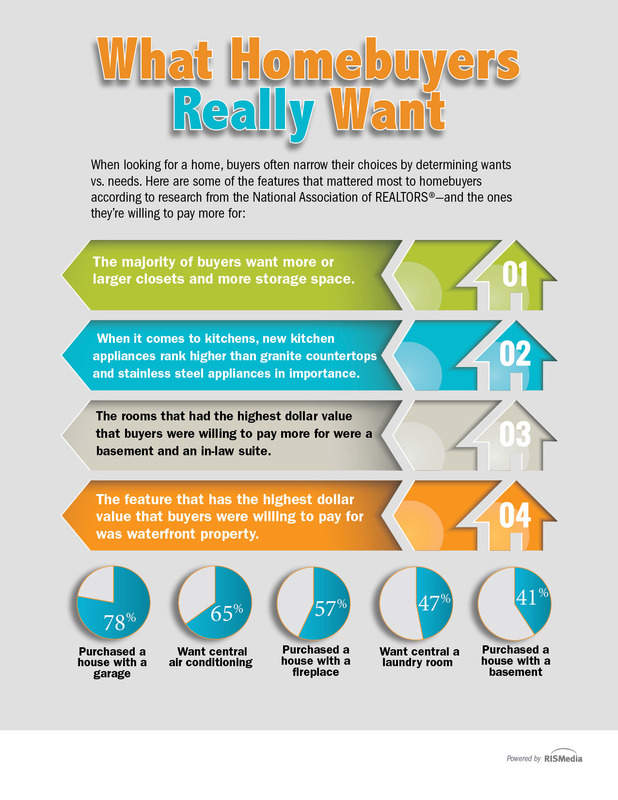 As your local real estate professional, I thought you'd be interested in this breakdown of what homebuyers really want. The infographic shows some of the features that matter most to homebuyers, according to research from the National Association of REALTORS®-and the ones they're willing to pay more for.